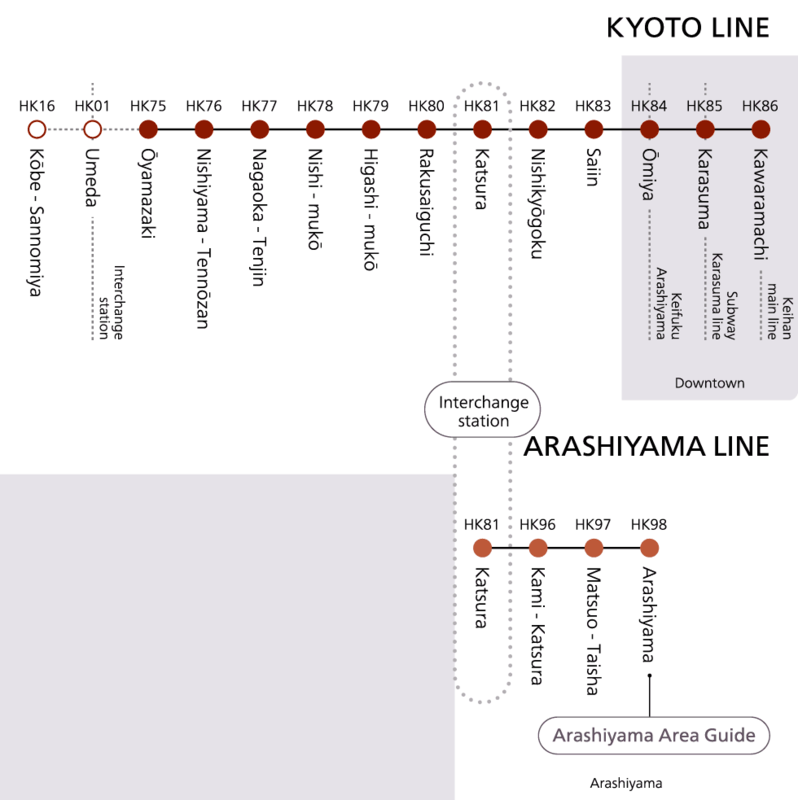 Plan your trip to Arashiyama and downtown Kyoto from Osaka and Kobe with the Hankyū Line. 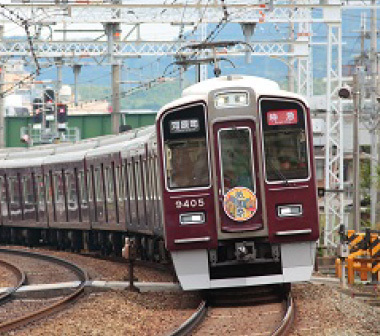 The Hankyū Line runs east to west through Kyoto City between Ōyamazaki Station (HK75) and Kawaramachi Station (HK86). It operates from approximately 5:30 am to 11:30 pm. The minimum fare is ¥150 for adults and ¥80 for children under 12 years old (as of April 2018). The Hankyū Line is covered by the Hankyū Tourist Pass. For more information about this pass, please visit our Day Pass Tickets page. Find your destination and check the fare on the large map/board above the ticket vending machine. Insert cash into the ticket vending machine. Choose the number of passengers and the correct fare for your destination. You can buy as many tickets as you need to at the same time if you are traveling in a group. Take the ticket and enter the gate. Insert the ticket into the ticket gate machine. When you enter, take your ticket after you pass the gate. When you exit, if your ticket has the incorrect fare, the gate will not open and a buzzer will sound. Don't be alarmed, just go to a nearby fare adjustment machine. Insert your ticket and pay the remaining amount, then receive a new adjusted fare ticket and proceed through the ticket gate. If you need any help, please ask the staff. If you need any help, you can ask the station staff by pushing the "Call" button at the ticket vending machine. You can ask for directions, buy day passes, get free maps, and receive updates on the latest events in the city at the Hankyū Tourist Information Center inside Kawaramachi Station. ☑Staff members are waiting to help you in four languages: English, Chinese, Korean and Japanese. ☑You can buy Hankyū Tourist Passes and get Kyoto sightseeing information here!